When someone talks in the mic the blue/red bg in the right corner is cut off, where's the file to fix that? How can I disable health bars that show up when you're spectating? I've found a command to disable/enable those, but it's server sided. Maybe there's a way I can hide this HUD element via hudlayout? rage1How can I disable health bars that show up when you're spectating? I've found a command to disable/enable those, but it's server sided. Maybe there's a way I can hide this HUD element via hudlayout? Bumping this q. Bit of a non issue because it's not like I'll play snowplow all the time, but it was kind of annoying when I was doing some contracts last night. yuki N1ghTAnyone have any idea on how to move the Kart Health on Snowplow? If you can move it at all. Bumping this q. Bit of a non issue because it's not like I'll play snowplow all the time, but it was kMiloind of annoying when I was doing some contracts last night. Fairly sure that it was done on a map level so it cannot be changed nor moved. Maybe if valve adds support on the hud it will be possible in the future. how do i remove the blue/red box near health and ammo in the default hud? Evilhow do i remove the blue/red box near health and ammo in the default hud? HudPlayerClass.res for the one behind the health and HudAmmoWeapons.res for the ammo one. Use this and/or this for a list of hudfiles and their purpose. Use [url=http://huds.tf/forum/showthread.php?tid=40&pid=124#pid124]this[/url] and/or [url=http://doodlesstuff.com/?tutorial=tf2hud&page=resource]this[/url] for a list of hudfiles and their purpose. how to move that "streak" value? spammyhow to move that "streak" value? under the "scores" entry you can control it with "killstreak_width"	"VARIABLE"
collycat spammyhow to move that "streak" value? under the "scores" entry you can control it with "killstreak_width"	"VARIABLE"
Didn't work when the update kicked in, not sure if that was fixed since though. Under "AmmoInClip" in HudAmmoWeapons, there's a "tall" value. Try to make it higher. Where do I remove these Payload / CP timers? Where do I remove [url=http://i.imgur.com/wxKZ2ok.png]these[/url] Payload / CP timers? wheres the file that controls the contracts on the right of the screen? tonythetigerwheres the file that controls the contracts on the right of the screen? There's a tonne of files in resource/ui/econ called questitempanel. I'd say it's probably them, I don't have a coin or I'd just check myself. Bumping this ancient thread once again, does anyone know if you can hide your health and ammo when the winpanel pops up? And if so how? 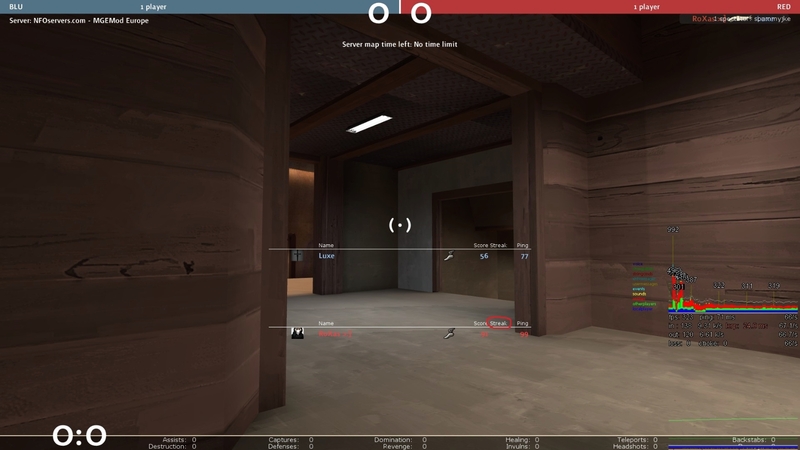 I want to add the server time limit left to part of my hud under the normal round timer. Much like the teamfortresstv hud on stream. How do I do it? Been trying and looking for a while but I can't seem to do it or find out how. ShooshI want to add the server time limit left to part of my hud under the normal round timer. Much like the teamfortresstv hud on stream. How do I do it? Add that in your hudobjectivetimepanel.res and fiddle with fonts and backgrounds and such. You may want to remove the "_minmode" stuff. [quote=Shoosh]I want to add the server time limit left to part of my hud under the normal round timer. Much like the teamfortresstv hud on stream. How do I do it? N1ghT ShooshI want to add the server time limit left to part of my hud under the normal round timer. Much like the teamfortresstv hud on stream. How do I do it? That should already be in that file. [quote=N1ghT][quote=Shoosh]I want to add the server time limit left to part of my hud under the normal round timer. Much like the teamfortresstv hud on stream. How do I do it? 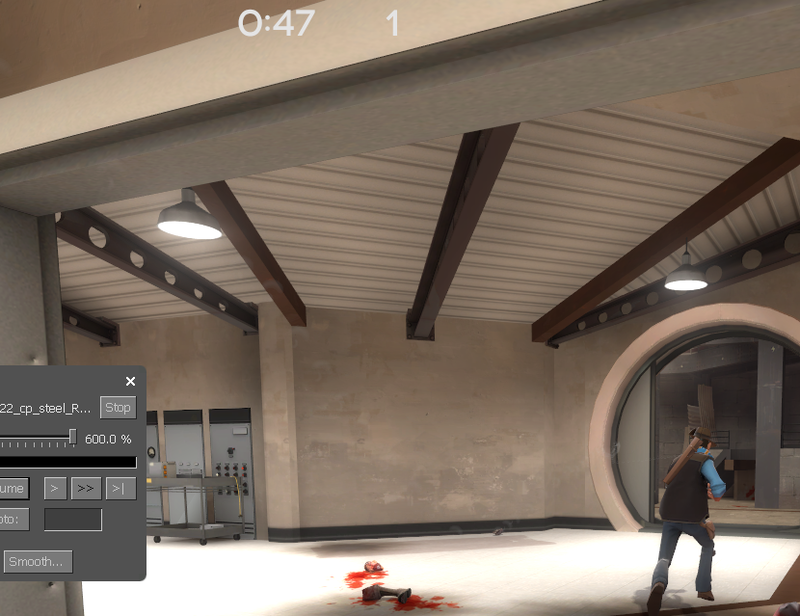 I'd like to incorporate SlinsFire HUDs buff/low health cross animation into my own hud edit of noto, I already tried messing with a few files but I had no luck with it. I'm trying to get them all lined up perfectly. 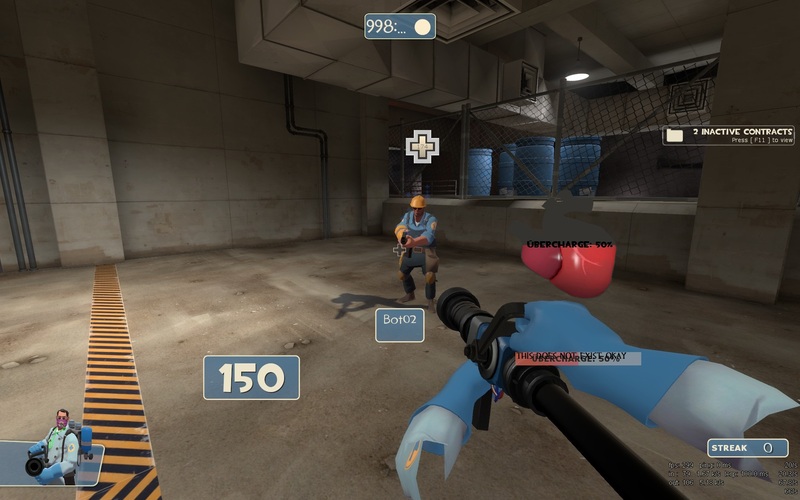 As it is, healtarget's actual health moves according to the length of his username. Also, the font for uber % is way too small, and I can't get the bar to show up, even using F4 plugin program. Looking around in resource\ui\hudmediccharge.res there are a LOT of bars and labels, it's confusing, and there are a ton of settings for each. LabelU, LabelR, LabelD.. etc. I can't really make much sense of what R,U,D are even referring to. Then there's individual charge. If heal target's health can't line up perfectly that's a much smaller problem than getting the % to be bigger, and adding a bar. I could just move the uber % up higher, but again I can't figure that out either. I can move all of the shadows, there's like 10, but moving the whole thing with the font itself is really difficult and confusing. Got rid of garbage like shop, news, contracts, split menu in to main section and then secondary.